The beautifully designed ‘Family’ dining table range is crafted to the very highest standards of furniture design and build, prices from £2,650. Our ‘Family’ handmade reclaimed wood dining table range is a beautiful, practical, hard-wearing and family-friendly table that utilises the maximum amount of space around the dining table to comfortably accommodate your guests. Solid, yet elegant, reclaimed wood surface, available in 4 finishes (raw, brown, dark and grey). 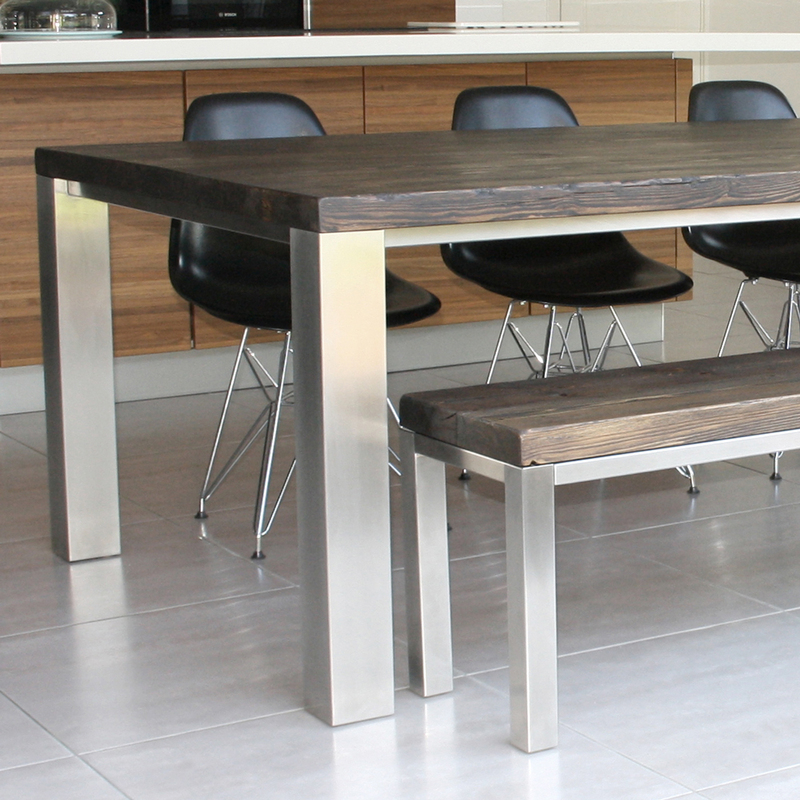 Brushed steel legs add a modern touch, sizes from 1.8m to 3m for up to 14 guests, bespoke options available on request and matching side and end benches available. 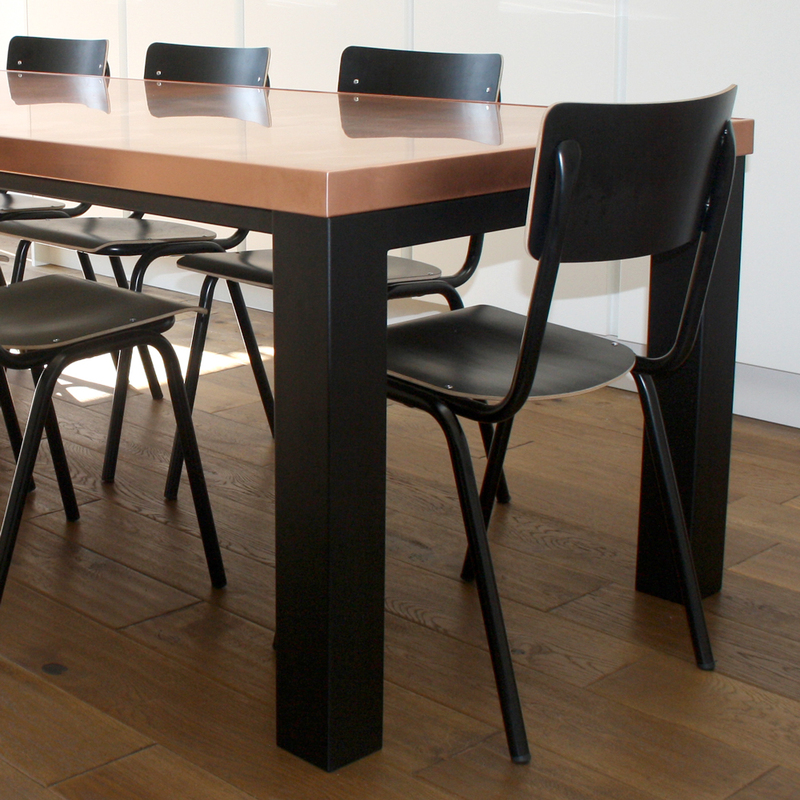 Our handmade dining tables come in number or materials and stunning finishes to fit perfectly into your dining space. Our finishes have been chosen to suit a range of environments. Need a table that works with your colour scheme? Or did you want something that enhances your tiles and tableware? When you’re entertaining, you want your guests to feel comfortable and perfectly at ease. The wrong table can mean that friends and family feel squashed and cramped, bumping in to each other while they’re eating. All our dining tables have been handmade to ensure that every individual gets the perfect amount of space at the table, with no exceptions. Our tables, which seat from six to 14 people, are ideal for relaxed family meals, entertaining friends, and even dining with colleagues.